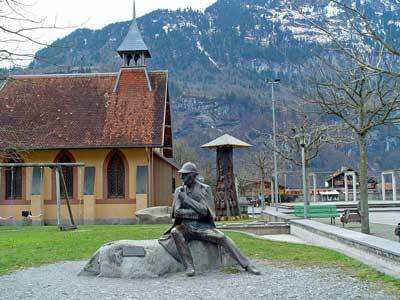 Regular Anglican Services in Meiringen were started for British tourists in 1850. The English Church was built in the garden of Hotel Sauvage in 1868 and visited by Queen Victoria in the same year. The architect was Newman and Billing, of London. Destroyed by fire in 1891, a new church was constructed on the same site. In 1937 SPG was unable to raise sufficient funds to repair the Church and the building was transferred to the Hotel Sauvage. It was sold to Christian Science group in 1939 and is currently used to house the Sherlock Holmes Museum.